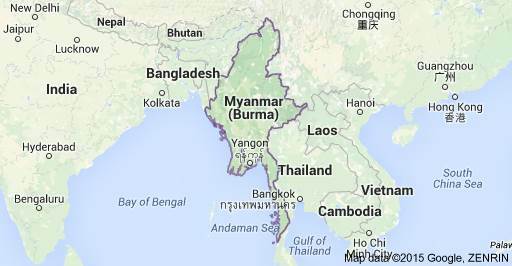 Hey, I'm heading over to SE asia next week and i'm keen to spend a couple of weeks windsurfing in Myanmar. I'm wondering if anyone has heard or found any spots, ideally with a rental place nearby. It's the NE trade season now so you'll be getting strong off shore breezes every day. I've not heard of any specific sailing places. Possibly your best bet is to head to a big resort & hire the gear there. Don't expect good gear. Take your own harness and harness lines!! Better to take a surfboard... there's some excellent shortboard and mal waves around the bottom of Burma (or SUPing if that's your thing)... many are secret spots so do some research and explore, but you can always head straight for the most well known break where the held the women's WSP tour event.